The Pitt Business Mentoring Match program takes advantage of our strong, global alumni network. It gives alumni the opportunity to give back to the school and interact with talented, young professionals. And it helps students connect with experienced leaders who can offer invaluable guidance and coaching support. The mentoring program is a critical part of how Pitt Business takes students From the Classroom, To the City, To the World. 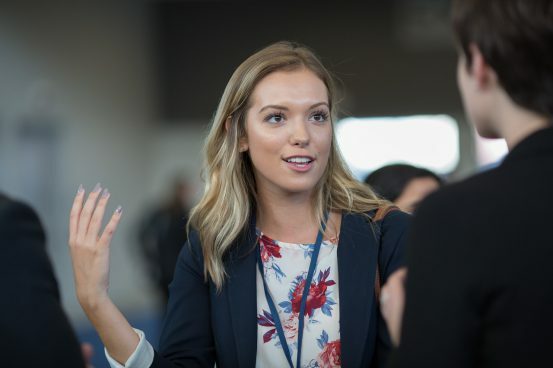 The Pitt Business Mentoring Match lets students connect with alumni from a diverse range of industries and specializations. It is powered by a searchable online database that lets students search for alumni types by industry, functional area, geographic location, and other parameters. To date, more than 500 alumni have signed up for the program. 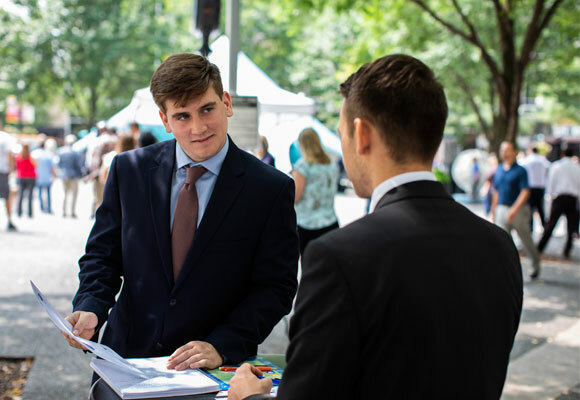 They encompass every business major, include both recent graduates and those at the executive level, and are located all across the country. Business students from every academic major, from freshmen through seniors, are eligible to contact our alumni mentors. Pitt Business Mentoring Match allows current students to seek out alumni mentors for valuable career and networking advice. Students can connect with alumni from all over the world, and are able to search for alumni via their company, job title, industry, and geographic location. Similar to Netflix, the intuitive system suggests potential matches for students based on alumni who match their professional goals. One of the first things to remember when initiating a mentoring relationship is that it is, in fact, a relationship, not a transaction. A mentor is there to help an individual grow and assist with his or her transition from life as a student to life as a young professional. Participating in the program is an opportunity to give back to current students at the school. Furthermore, they are able to work with the future business leaders who will be joining their organizations, and thus can expand their own networks. Students gain access to a trusted resource in the business world. They are able to interact with alumni for everything from quick career advice to developing a long-term relationship. Since the program includes alumni from all over the world, these interactions can range from in-person meetings to phone calls and emails. Create an Account in Mentoring Match!